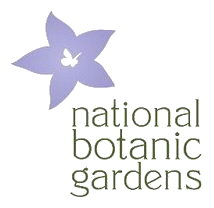 The Irish Society of Botanical Artists will present their inaugural exhibition at the National Botanic Gardens, Glasnevin in May 2014. The exhibition entitled The Irish Alphabet in Botanical Art marries native plant species with the capital letters of their names in Irish. Over 60 artists have produced distinctive paintings, exhibited as complete eighteen-letter Irish alphabets. Tim O’Neill, renowned calligrapher, has created a unique font for the project. This unified collection of paintings is a celebration of the Irish language, native Irish plants and botanical art. A limited series of thirty prints is available of each of the exhibited works. See the Irish Society of Botanical Artists website for more details about the society.